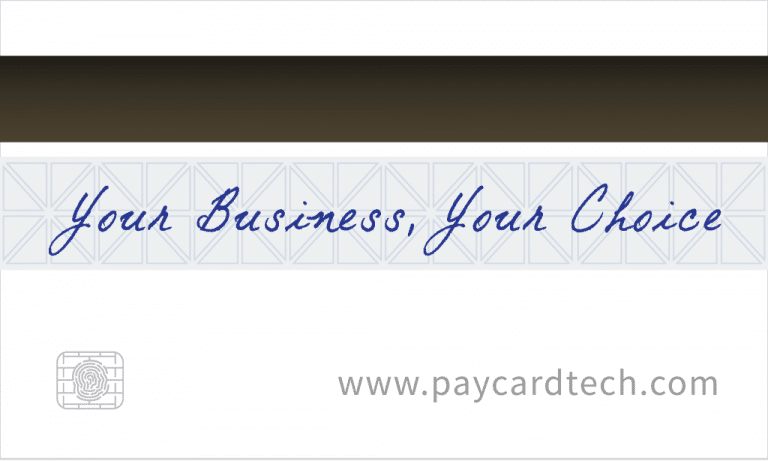 A custom logo for payment processing industry. 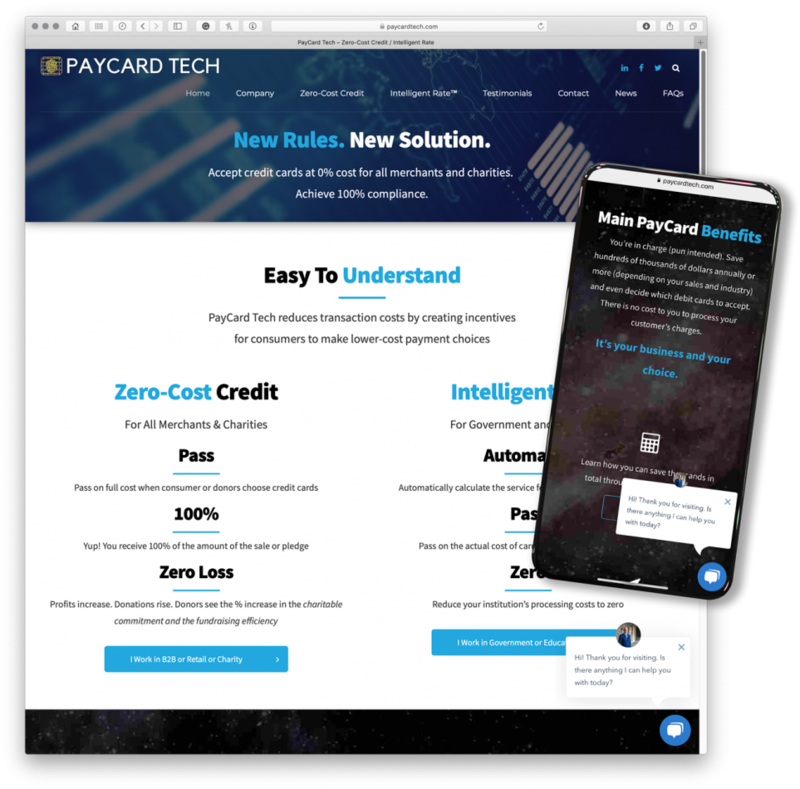 PayCard Tech reduces transaction costs by creating incentives for consumers to make lower-cost payment choices, and thy accept credit cards at 0% cost for all merchants and charities. 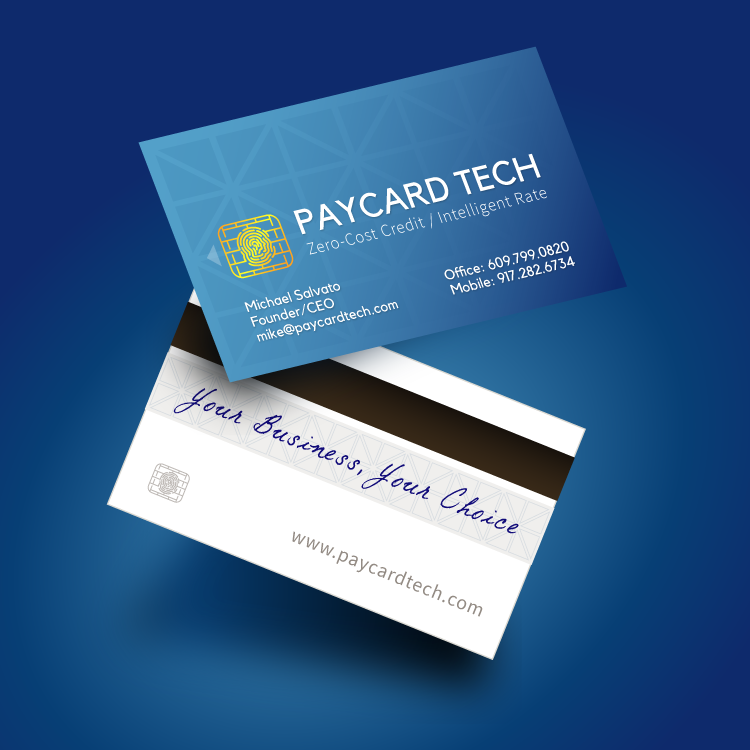 To create a new Brand ID and Brand Strategy for a financial payment industry company. 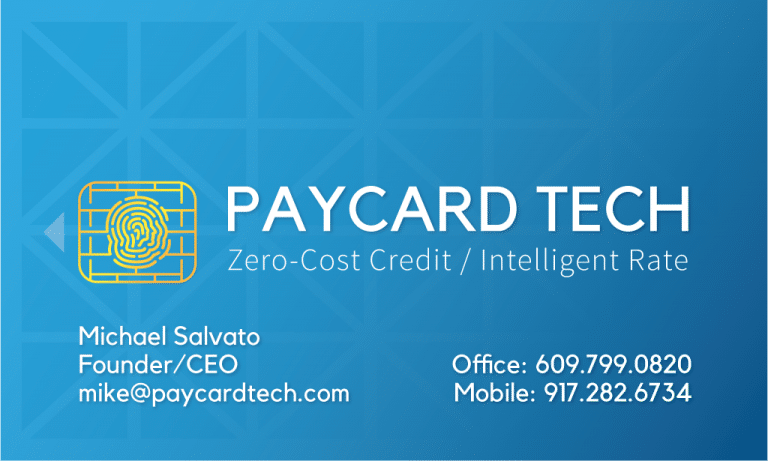 My approach is a bit of playful design with a literal take on the credit card and balanced with a business familiarity. Things like the chip, the magnetic stripe on the back, and the placement of text and numbers on the front. I’ve actually wanted to do this with my own business cards years ago, but it didn’t work because it would have implied that I am in that industry, So I was thrilled to apply this concept here. I wanted to keep this logo relevant and opted for a custom chip icon. 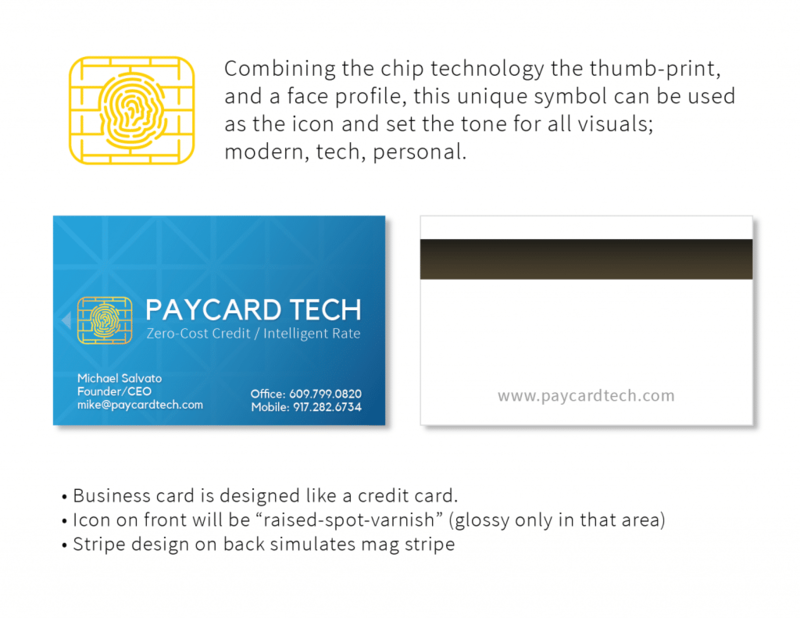 I designed a combination of chip circuitry, a personal thumbprint, and a face profile. The triangled background simulates the reflective surface of credit cards and the magnetic strip on the back of the card completes the concept. The cards have served their purpose so successfully, we needed to order more. I added the tagline to the back as a “signature”. Of course, the branding included a website. We also implemented some drip lead generation techniques to build the client database.